So, You Want to Start a WordPress Website? When it comes to starting a blog or website, the process can seem intimidating in the beginning. WordPress, while immensely popular and user-friendly, also offers an extensive array of themes and choices that can make creating a WordPress website seem even more daunting. However, one thing I have learned after creating several WordPress based websites is that overthinking web design can sometimes equal paralysis. You can spend weeks crafting the perfect domain name, conducting niche research, planning out content maps, and visualizing your WordPress theme and look. Don’t get me wrong, planning is great, but always make sure your planning time-frame has an end date. For me, I remember the most difficult process the first time I made a WordPress website was to decide on hosting. I’ve never cared much for agonizing over a website name, and I know what types of designs and WordPress themes I like. However, a few Google searches for the best managed WordPress hosting services left me stumped. There are so many WordPress hosting providers out there, all with countless reviews and competitive offerings that can make an initial decision seem impossible. After spending more than 2 weeks researching and not pulling the trigger, I ultimately selected SiteGround WordPress hosting and I have continued to used SiteGround hosting for all of my WordPress sites. Now let me tell you why! A web hosting service that continues to rise in popularity, SiteGround was founded in 2004 and has headquarters based in Sofia, Bulgaria. SiteGround does have data centers around the world however, with data centers in the United States, UK, Milan, the Netherlands, and Singapore. Currently, SiteGround has more than 400 employees and is responsible for hosting more than 1,000,000 domains. Some of these domains are inevitably WordPress based websites, but SiteGround also offers additional services including shared hosting, cloud hosting, dedicated servers, and enterprise hosting to suit your needs. 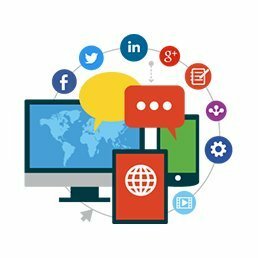 Long story short, SiteGround is a web hosting company with a solid history, reputation, and global reach. Now let’s examine why SiteGround is one of the best WordPress hosting services available. If you want a quick description of why SiteGround is the best WordPress hosting solution, I’ll briefly cover the pros and cons of using SiteGround. Website speed: SiteGround is one of the best hosting services when it comes to ensuring your website runs quickly and enhances user experience. Outstanding customer support: SiteGround handles 1500+ tickets, 1000+ calls, and 3000+ chat requests every single day. If you have a question or emergency, you can maintain peace of mind knowing SiteGround is always quick to respond and offer superb customer service. No waiting on hold for hours on end! User-friendly platform: SiteGround WordPress hosting is immensely easy to use, and can walk new users through domain registration and WordPress installation. If you are new to creating a personal WordPress site, you should certainly consider SiteGround hosting for their 1 click WordPress install alone. Handy freebies: A free SSL certificate and the ability to install Cloudflare’s free CDN are a nice addition to your SiteGround hosting package. Officially recommendation of WordPress: SiteGround has been officially recommended by WordPress as being one of the best WordPress hosting solutions on the market. That isn’t a small feat every web hosting service can boast about! Limited website storage: SiteGround WordPress hosting plans come with 10GB, 20GB, and 30GB storage limits depending on plan price. While this will not be an issue for smaller websites or personal blogs, it is still worth noting. Monthly payments have a cost: I always pay for my WordPress hosting with SiteGround upfront, as setting up monthly billing has a $14.95 setup fee. Longer billing periods gain you a bigger discount and no fee, so committing to a year can save you money in the long run. No advertising credits: While this may not matter for personal blogs or certain websites, SiteGround WordPress hosting does not offer advertising credits or incentives as some other web hosting providers do. No free AdWords or Bing credits with SiteGround unfortunately. 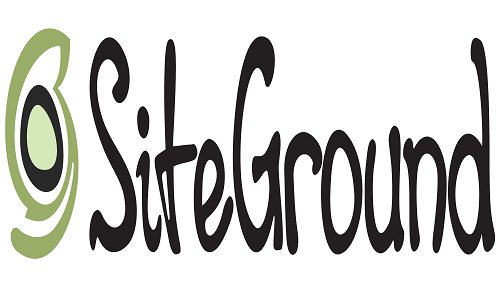 Now, let’s examine some specifics that make SiteGround one of the best managed WordPress hosting services available. There is nothing more frustrating than visiting a website and experiencing a long wait time. If you’re like me or any other human, a few seconds of load time is really all it takes to make you hit the back button and ignore a website altogether. Ultimately, the speed of your website can make or break your user experience. Website speed can also have significant impact on your overall SEO and ranking efforts. Google uses speed as an element of its algorithm to rank pages, and just announced that beginning in July 2018, mobile page speed will be added to their algorithm as well. If you have a website with slow page speed (how fast content loads on your page) or a slow site in general, you will not be rewarded in the SERPs. End of story. SiteGround builds their servers with speed as a focus, and from use the latest industry standards in terms of hardware and software. SSD drives, SiteGround SuperCacher, and Cloudflare’s CDN all ensure that your website functions fast. Using the website www.loadimpact.com, we can see how SiteGround responds to a gradual increase in users. The blue line indicates user traffic, and the green line represents server load time. There’s a small blip, but for the most part SiteGround servers will never have an issue with traffic, especially if you run a small website such as This Online World. SiteGround also has a reputation for having very fast server response times. The following screenshot was provided by the Bitcatcha server speed checker tool. I know the server response time says D+, but just look at the response times for the Eastern and Western United States. Asian-Pacific times aren’t great for my site, which drags the overall score down, but if you are trying to reach Asian-Pacific customers you can actually contact SiteGround and simply move your data center. Since I predominantly cater to U.S. and Canadian readers, my data center is located in Chicago. In short, SiteGround WordPress hosting can assist with fast page loading, website performance, and overall user experience. Perhaps the only thing worse than having a slow website is having a website that is completely unreachable. If readers can’t make it to your website for even short periods of time, it can dampen their overall experience or even cost their attention altogether. Luckily, SiteGround has 99.9% monthly and yearly up-time results, which is pretty ridiculous considering just how many domains they host. www.wpdingo.com tested the up-time stats for popular WordPress hosting services for an entire 2 years, and found SiteGround to rank second. SiteGround truly strives to protect businesses and individuals from experiencing down time with their websites, and the stats show. Additionally, if you ever do encounter an issue with your WordPress website, you can be sure that SiteGround support staff will respond to your calls or tickets in a timely manner. As mentioned above, SiteGround offers pricing incentives to pay upfront for website hosting by having a fee associated with monthly billing. Assuming you do pay upfront, SiteGround has affordable WordPress hosting options and plans that cater to websites with varying levels of traffic. Depending on your budget or needs, different SiteGround WordPress hosting plans might be more suitable. This Online World is currently on the Start Up plan, which suits the amount of traffic this website receives and allows me to upload images without much concern for space. SiteGround’s Start Up plan also includes essential WordPress features such as 1 click install, setup, daily backups, the ability to transfer a website, and more! The Grow Big plan from SiteGround is an excellent WordPress hosting option for webmasters who own multiple WordPress sites. GrowBig allows you to host an unlimited number of websites and experience approximately 25,000 monthly visitors without encountering issues. Grow Big includes the basic WordPress features, as well as premium features such as priority tech support, SiteGround’s Super Cacher, and 1-year free wildcard SSL. For only $5.95/month, SiteGround’s Grow Big plan is an excellent WordPress hosting option for established webmasters who are looking to expand their online presence. GoGeek from SiteGround is the WordPress hosting option tailored for websites that receive high numbers of monthly traffic. GoGeek provides all of the features included in Grow Big, plus additional services like one-click git repo creation and WordPress and Joomla staging. However, one of the best aspects of GoGeek WordPress hosting is that it is PCI compliant, making the GoGeek hosting plan an excellent option for eCommerce websites. Whatever WordPress hosting plan you choose, you can rest assured that you will experience excellent quality and service from SiteGround. All hosting plans also include a 30 day money back guarantee, free site transfer, free email accounts, cPanel and Softaculous, and SiteGround’s drag and drop builder. Considering just how much is included in all SiteGround WordPress hosting plans, there’s also a refreshing lack of up-selling on services. You won’t find yourself missing critical features or overall functionality because you decided to stick with Start Up WordPress hosting. When it comes to customer support and user satisfaction, SiteGround is certainly one of the top contenders. 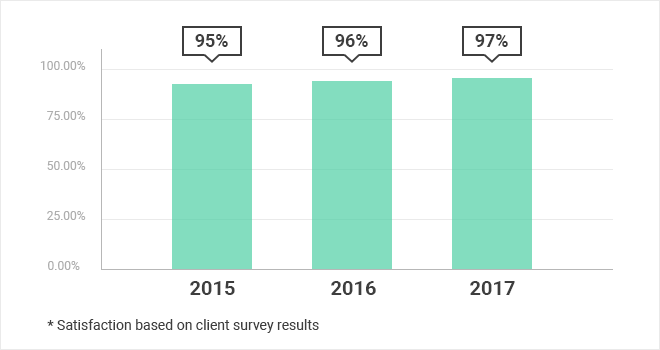 According to SiteGround user survey data, they had an incredibly 97% customer satisfaction rating in 2017. Additionally, 95% of other SiteGround customers recommend SiteGround to others for their WordPress or web hosting solutions. This high recommendation rate isn’t surprising considering that SiteGround provides some of the fastest response times and excellent customer support. With SiteGround hosting, you can rely on 24/7 phone and live chat, as well as ticket-based email assistance. From my experience, wait times for phone or live chat are either instant or only a few minutes, and email inquiries are also answered immensely quickly. SiteGround representatives are also quite knowleagable, and are able to walk users through any technical difficulties. SiteGround also has numerous informative guides, tutorials, and helpful articles on their website that can help people get started with WordPress hosting. While SiteGround has continued to grow in popularity over the past few years, WordPress hosting is still a competitive industry with large players like Host Gator, Go Daddy, or Bluehost. When I first started researching the best WordPress hosting provider, I remember I was inundated with Bluehost information, positive reviews, and sign-up links. Don’t get me wrong, Bluehost WordPress hosting can get the job done, but I don’t think Bluehost can offer the same quality of hosting as SiteGround. As one of the most popular WordPress hosting services, Bluehost simply doesn’t offer the same level of customer support or speedy response time that you get with a smaller company like SiteGround. From a performance standpoint, I have also heard other users complain about website speed when using Bluehost. If you look at the up-time ranking graph above from wpdingo, you’ll also see that Bluehost ranks 7th in overall in up-time score. However, the worst aspect of Bluehost for me is the upfront cost for WordPress hosting. Not only are Bluehost plans more expensive, but you are incentive to purchase 3 years of hosting upfront in order to take advantage of their best pricing. The irritating part is that Bluehost also promotes their prices as being discounted. Sure, you get a discount, but only if you commit to 3 years of hosting with an overall worst hosting provider. I’d rather not be forced to pay $731.52 upfront to get my WordPress hosting. There are numerous WordPress hosting providers out there, but not many with a reputation like SiteGround. From offering speedy hosting, affordable plans, and superb customer service, SiteGround has won over many webmasters as being their number 1 choice for hosting. You won’t experience much up-selling or high upfront costs like with Bluehost or other hosting providers, and you can rest assured that you’ll have some of the leading up-time rates available. If you are interested in beginning your WordPress journey and want to sign up for SiteGround hosting, I would greatly appreciate if you use my affiliate link below! It helps to support me through my schooling and really helps me out. Thanks for reading! I wish you all the best in launching your very own WordPress website! Sign up for SiteGround hosting here. 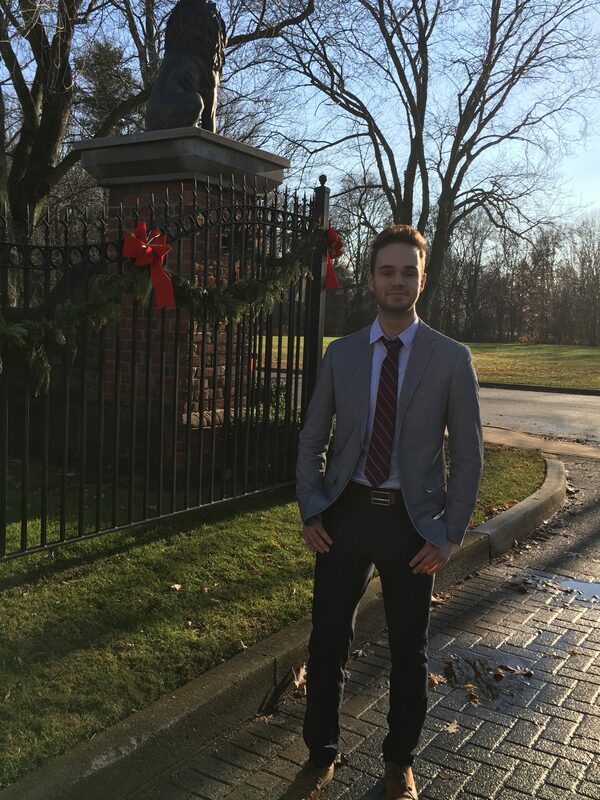 Tom is a 22 year old recent college graduate from Canada with a passion for side hustling, passive income, and marketing. This Online World is all about providing people with honest ways to make and save more money by using technology. To learn more about Tom, read his About Page! Stay in the loop and receive the latest posts!